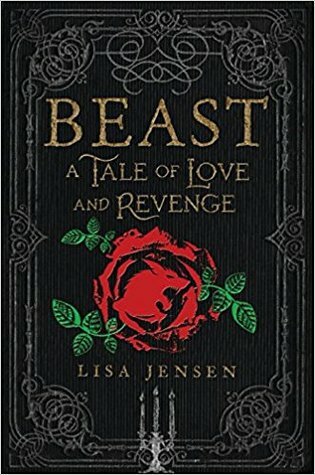 I really enjoyed this retelling of Beauty and the Beast! It's one of my favorite Disney movies, mostly because of Belle (Go books!) and I was interested to see how things would play out in this retelling. This was a dark book, probably more like the original then the movie. 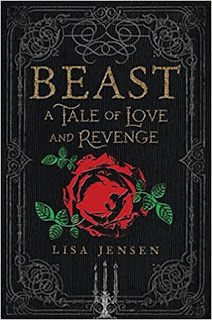 The idea that the guy who was transformed in the Beast was both a really, really bad guy and then not the Beast at all, just another person in this different body, was pretty interesting. It's a different take then the guy becoming the beast and learning how to be a better person. So that was very interesting to read about! I felt bad for Lucie, she's had it tough, being a peasant whose father has died, and basically sent away from home to protect herself from her step-father's wandering eye. But things go from bad to worse because of Jean-Loup. Really hated that guy! But there were some moments once Beast arrived on the scene, were I was like, something bad is going to happen and I don't want to read it! The actual part with Rose is maybe the last third or so of the book. More important was the things that happened beforehand, like Lucie being a servant, that weird thing with the maybe ghost, and the sorceress lady. But how everything worked out, that was a elegant solution and I loved reading it! This book was a really fantastic retelling with such a different focus, and I enjoyed reading it so much! Reason Why: Sounded really great, and it's a 2018 Retelling Reading Challenge Book, Historical Fiction 2018 Book and a SAC 2018 Book!